We’re having another one of those “Miracle March” kind of springs. It’s always a big relief to get those during the drought years – and word had it that we were technically still in a drought here up until recently. 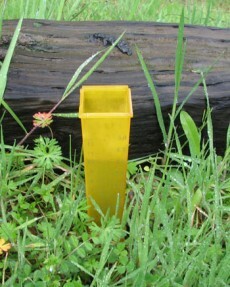 And now, in just a few days we’re racking up rainfall totals up in the neighborhood of 4 inches at a whack. Today they had a tornado up by Williams. 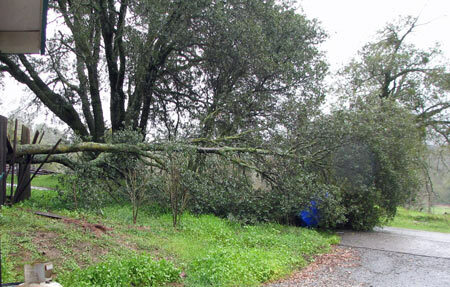 The local (Sacramento) news went kind of wild reporting on it – it was so exciting. 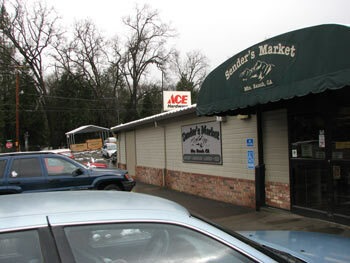 Anyway, a LOT of rain for us, and just up the hill at our favorite local market – snow. The checker wasn’t as smitten by it all as I was. I love that we live just a few minutes away from snow. We don’t live in it – just near enough to enjoy it. Occasionally we get some too, but most years it’s the neighbors’ problem. There was a flock of sheep who were “enduring” it – and not very happily. 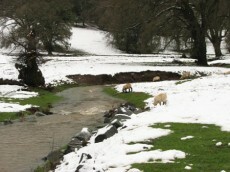 The lambs were just baaaaing their displeasure as I stepped out to snap a picture of them. Some of them got brave enough to go nose around the fast-moving stream. Mostly they just wanted to be done with the cold white stuff and back at the green grass under it, I think. 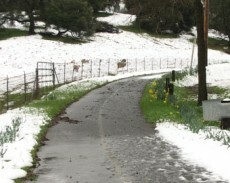 This part of the road to the market has about a half-mile or so stretch of daffodils that bloom each spring. This year – unfortunately – they’ve taken something of a thrashing by all the snow. My daffodils have a similar problem but just from all the rain. They grew tall and beautiful, and then we got these downpours and it just knocked them flat down on their pretty little faces. It’s such a pretty stretch of road though – snow or no snow. And so nice to see the creeks and rivers so full. LOL on falling scrub oaks. My daffodils got shot down too, but thankfully, we are a couple miles from Trader Joe’s and bought two bundles of daffodils today. They are in the kitchen window and will bring a smile to my face tomorrow as they open. Loved the drive with your camera.